1. A set of waterproof, microwave- and dishwasher-safe vinyl stickers, so they can turn everything they own into an homage to their favorite creature. Promising Review: "Gave these to my sister for her dog's birthday this year and she LOVED them! It was such a cute, personalized gift that really meant a lot. It was a great item, especially for the price. Sometimes personalized things are so expensive, but this was great. Will definitely purchase again!" —Kelly O. 2. A hardcover storybook set with a custom-made bandana and matching ornament, all created in the likeness of their pup, to let storytime become a personalized adventure. Get it from I See Me for $49.99. Use code BF2017 for an additional 30% off from now through Black Friday. 3. A 3D-printed cookie cutter designed to look exactly like their furry (or not so furry) BFF; it'll help them make yummy treats that are as cute as they are delicious. Get it from Copypastry on Etsy for $49. 4. A regal AF portrait of their pet, because they're f#@%ing royalty and should be treated as such. Get it from Homme Sur La Lune on Etsy for $75+. 5. A temporary tattoo that'll *hopefully* stop them from getting an actual tattoo of their pet — for now. 6. A larger-than-life cotton pillow of their pet so they always have them there to lean on. Get it from Mr Paws Co on Etsy for $65.38. 7. An engraved pendant necklace, because who carries photos in their wallet anymore? Especially when they can have a photo around their neck! Get it from LILIMING on Etsy for $41+ (available with different chain options). 8. An embroidered fleece reptile blanket so we can finally give all our lizard-loving friends the gift they deserve. Get it from Ubby's N' Stuff on Etsy for $15+ (available in a variety of colors and fabrics). 9. 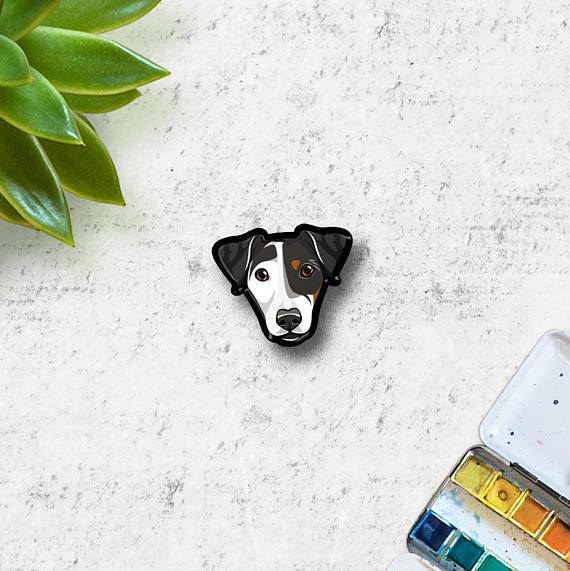 A pair of custom-made earrings that'll make their pet do a double take the next time they look up at them. Get them from Caramela Handmade on Etsy for $15.46+. 10. An engraved glass jar for a perfect place to store all their favorite treats — human or animal! Get it from Gifts For You Now for $18.98. 11. A hooded sweatshirt with their critter's face plastered across the front. 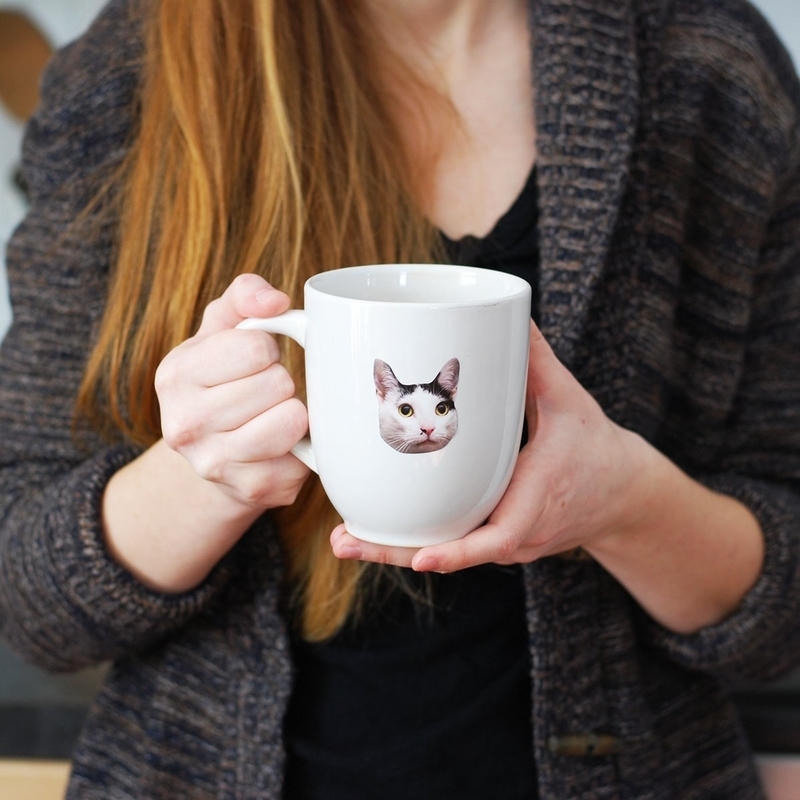 Not only will they love it because it's covered in the most beautiful face ever, but 10% of every product purchased goes directly to benefit the SPCA, Humane Society, and other animal welfare organizations. Get it from Amazon for $49.95 (available in sizes S-2XL). 12. A plush keychain perfect for that person who can never find their keys. Now they'll never want to let them go! Get it from Red Cloud Studio on Etsy for $29.99+. 13. An engraved pet tag so you can save the day and let people know how much they love their pup whenever they manage to lose their way. Get it from Eastcoast Engraving on Etsy for $7.77 (available in a variety of colors). 14. A canvas tote bag customized to the likeness of their pet. It'll make lugging around all that stuff they carry for no reason a little more exciting. Get it from Hither Rabbit on Etsy for $36+ (available in three styles). 15. 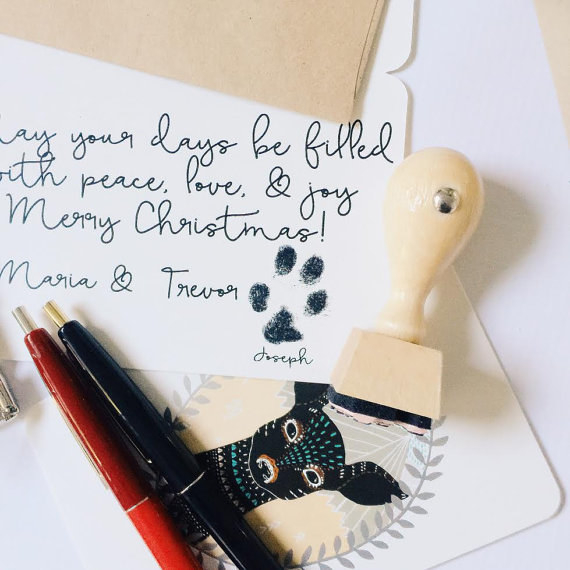 A custom rubber stamp, because they left their paw prints all over their heart so now they'll be able to leave them everywhere else. Get it from Red Cloud Studio on Etsy for $20+ (available in a variety of styles). 16. 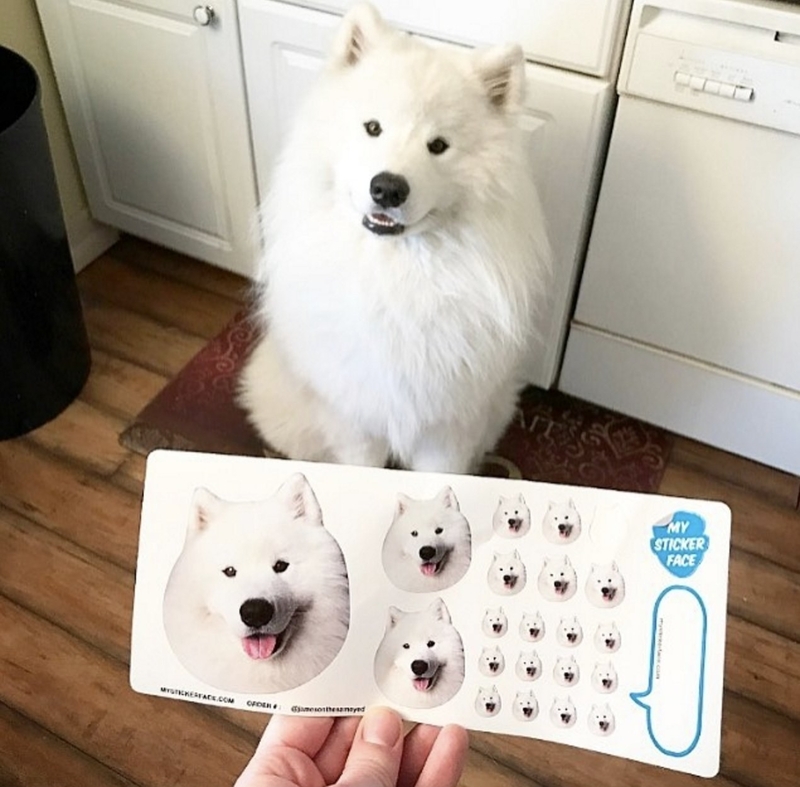 A magnet of their lovebug's face so everytime they open the fridge to get a delicious treat they're reminded to give them one too. Get it from Caramela Handmade on Etsy for $14.64. 17. A sterling-silver necklace personalized to look like their favorite portrait — whatever that is. Get it from DiBA Dog on Etsy for $79+ (available in four length and two charm options). 18. A handmade brooch they can have a pin that's cuter than any other pin in the world. Get it from Cat Hedonist on Etsy for $35. 19. A prayer candle that'll turn their pet into the saint they already think they are. Get it from Go Saint Yourself on Etsy for $25+ (available in a variety of design options). 20. A personalized dog toy, because they buy your kid so many great gifts it's time you bought their kid one too! Get it from Hither Rabbit on Etsy for $15+ (available in two sizes). 21. A personalized horse grooming set, because if anyone deserves to be pampered it's their Lil' Sebastian. Get it from Horse Hopes on Etsy for $20+ (available in a variety of tools). 22. A fleece bed their pooch will love lounging on, but not sleeping on because they sleep in bed with them. Promising review: "We waited way too long to order this bed for our bulldog/boxer mix, Harvey. From the minute it came out of the box it became Harvey's happy place. I am forced to move it from our bedroom so that he can be out in the living room with us during the day. Looks like there will be more beds in our future! Do not hesitate." —Allison S.
Get it from Pride Bites for $89.99+ (available in a variety of fabrics, colors, sizes, and personalizations). 23. A lovely engraved ornament with their pets name to help them trim the tree in the only way they know how. Get it from Susabellas on Etsy for $19.95+ (available in a variety of colors). 24. 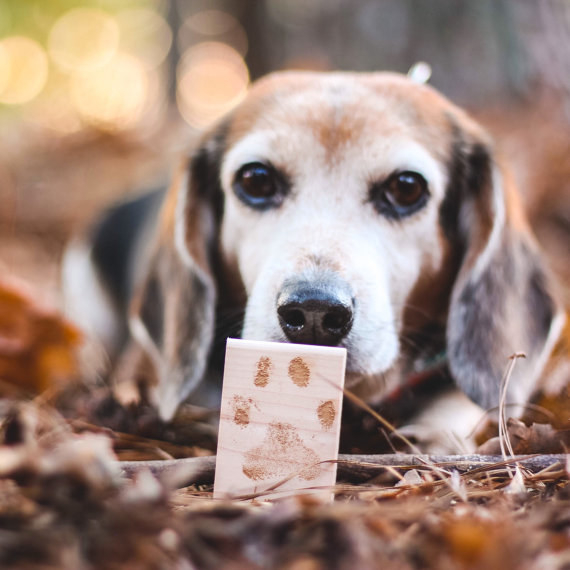 A personalized paw print pendant so they can always have their four-legged friend close to their heart. Get it from Amazon for $19.98 (available in a variety of lengths, colors, and fonts). 25. A pair of plush slippers created in an exact likeness to their adorable bestie — basically you can gift them bunny slippers of their actual bunny! Get them from Cuddle Clones for $149. 26. And a custom illustrated pillow cushion you can have made in velvet, 'cause they fancy and so is their pet. Get it from Creature Comforts CCD on Etsy for $21.54. 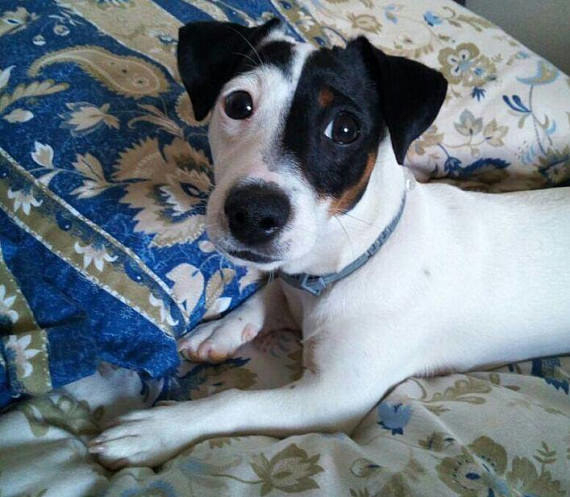 Here's to celebrating their most loyal companion!